After the last few weeks and with conference schedules wrapping up and tournaments beginning, I was pretty much expecting my weekly Top 25 efforts to once again be challenging. So I was pleasantly surprised when watching the week and weekend unfold and seeing very little carnage on the men’s side. Of the 25 teams, only seven took losses and all were single losses. It gave me a chance to take a deep breath before what will surely be plenty of carnage for Week 12’s ballot. It seemed to be a birthday present to me of which I am very grateful! With the lack of carnage also meant for the first time in weeks I had very few possibilities to bring in a new team to my ballot. That did make it challenging in terms of who to pick from at least ten teams, but it also made selecting who would fall out of the poll a bit easier. So, here is my Top 25, which you will notice features ten teams that didn’t move up or down and features 24 teams I had in last week’s poll. As we get started, here is a reminder of my rather frustrating ballot last week. 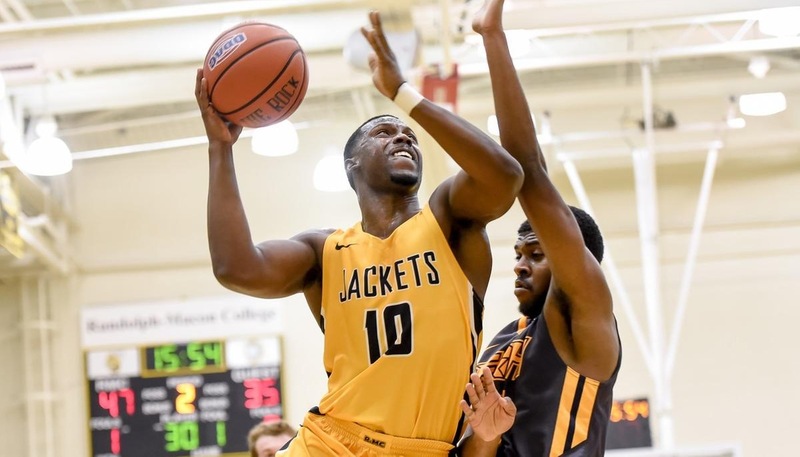 The Yellow Jackets continue to play very good basketball in one of the toughest conference in the country. They had a big rivalry game against Hampden-Sydney and it turned out to be no contest. I think that alone told me a lot about RMC since in any rivalry game and no matter the records going in, things happen. A single loss isn’t usually the death nail for a team, but the loss to St. John’s marked a season sweep of the Tommies by the Johnnies. Do you know the last time that happen?! Ok, it’s the second time in three years, but if the Tommies are that good it should never have happened! I am not sure if I have been overrated with the Tommies, but the MIAC tournament will give all of us a better sense of just how good or not St. Thomas really is. The Comets take a loss and don’t move in my rankings. I know, even I had to look long and hard at that for a while. The loss was to Mary Hardin-Baylor who have now rattled off eight wins in a row and could cause plenty of problems in the ASC tournament (heard that script before? ), so I wasn’t going to knock the Comets too hard for that in the first place. However, I also couldn’t justifying moving them behind teams further down the poll. Many pollsters talk about what I call the pillow effect: a team only falls as far as those below them allows. In some cases, if there are enough losses happening further down the poll, a team can only fall so far. In this case, there are teams behind Texas-Dallas I don’t think are 14th in the country, limiting their fall to… zero. This may be a steep rise for the Eagles who seemed in disarray and are only back to their winning ways because they played the bottom of the CAC in the last few weeks, but I also didn’t have a good reason to move teams behind them ahead of them. So consider this filling in the empty spot at 15 instead of my indication that I think everything is okay in Fredericksburg, Virginia. Another example of maybe too big a leap in my Top 25. I think the Falcons are a good team, but I am not convinced they are world beaters and will go far in the NCAA tournament (they are welcome to prove me wrong). They are moving up, though, thanks to Purchase State losing. Despite a head-to-head win over Albertus Magnus over Purchase State, I had the Falcons behind because of a bad loss in conference. Now Purchase has picked up a similar resume blemish and thus AMC moves ahead. Similar to Mary Washington, I was going to move the Colonels up the rankings anyway, they just moved a little further north then I intended. These kind of moves and my concern they are too big a leap further explains why I didn’t feel comfortable moving Texas-Dallas down and opening up the 14-hole. 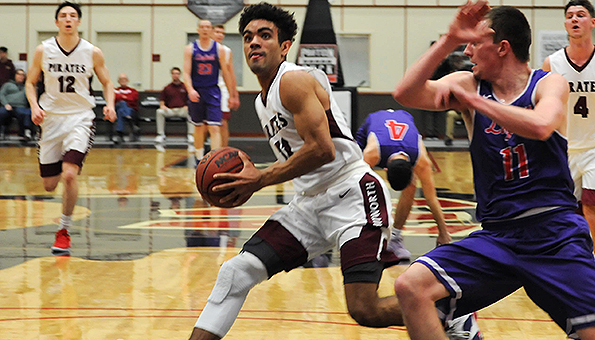 Losing to Lewis and Clark on the road in overtime probably deserved a bigger drop, but there is only so far I can drop the Pirates before I run into teams I think Whitworth would beat on any court. The loss doesn’t bode well for Whitworth’s post-season aspirations of playing deep into March, but it could also be the spark that finally ignites a team I think has been playing below-par all season. Again… I can only drop Purchase State so far before there are teams I don’t think they deserve to be behind on the ballot. Their loss this past week to St. Joseph’s (Long Island) is unforgiveable and is not going to help them when it comes down to possible hosting opportunities in the NCAA tournament, but maybe they can use the loss as the motivation they need to focus on the task at hand. There are plenty of teams I thought about bringing on to my ballot with better records, but Hope is playing better than most, I think. The Flying Dutchmen have won 11 in a row and are blowing teams out in their conference. They have a season sweep of Calvin and are very highly ranked by the NCAA regional (and national) committee. I have honestly been waiting for the shoe (pun intended) to drop thus why I have been leery about putting Hope on my ballot. However, they appear to be getting stronger and could end up being a surprise in the NCAA tournament after their season started 1-4 and 3-5! Yes, the Golden Eagles went 2-1 with just that lone loss to a good Oswego State squad, but they are playing without their best player who may be out for the reason of the season with a knee injury. John Ivy is a tremendous player, but his status is known (I have heard nothing official from anyone) and I have to work under the assumption he is out for the year. That changes this squad completely and I don’t think they are nearly as good as they were with him in the line-up. Brockport will make the NCAA 7tournament, but without Ivy they are not a Top 15 team. The Engineers eight-game winning streak came to an end at the hands of Mount St. Joseph’s (what’s with the St. Joe’s-named teams?! ), but I don’t think that is a horrible loss for Rose-Hulman. I am willing to give them the benefit of the doubt since they had the conference regular season wrapped up and were going to host the conference semifinals and championship no matter the outcome (they had swept Defiance this season). I don’t know what to make of the Battling Bishops or for that matter the NCAC. After DePauw looked great, they fell apart. 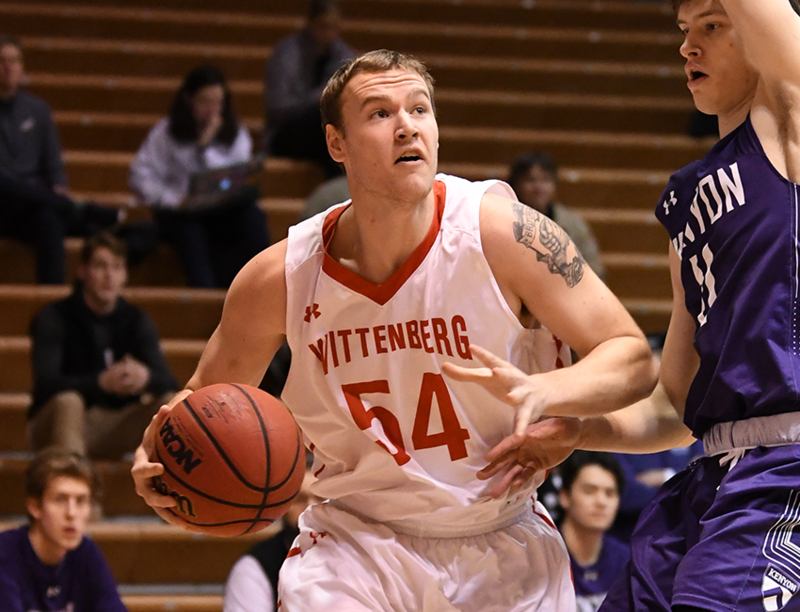 After Wittenberg looked great, they have struggled. Now Ohio Wesleyan looked great and they seem to be unraveling. Mike DeWitt’s team is 3-3 in the last six games. I just don’t think they are playing like a Top 25 team. To be honest, this week’s Top 25 ballot was a pain in the a$$. It wasn’t exactly carnage throughout, but the losses that did pile up caused me to have teams rise into spots in the poll I was just not comfortable with. I certainly could have left teams where they were and had others jump over them, but there wasn’t many arguments for teams behind to jump ahead. It caused for a long 24 hours of constantly plugging away, diving into data, and trying to listen to either my head or my gut… or ignore both. So I want to publicly thank the following for making the Week 10 Top 25 a pain in the a$$: WPI and Wesley primarily. Couldn’t you guys take care of business? WPI, dropping one game to giant-killer Emerson or to a solid unit in Babson, but both?! Wesley, your performance against York (Pa.) was anything but inspired. It didn’t occur to you that you have to play every game? Ok, tongue-in-cheek moment over with… those two teams alone caused plenty of chaos with my ballot, but it wasn’t the only challenge I faced. Heck, 24 voters had to reconsider who we thought was the top team in the country and I am sure everyone had a different point of view in how they made that determination. I actually thought about it for five days (thanks in part to UWSP losing on a Wednesday and both teams not playing the rest of the week). What ended up happening this week was interesting. I made some difficult decisions, I followed by head in some spots and gut in others, and I also punted a few teams and introduced some teams I had been watching for months but didn’t feel deserved to be on my ballot. All in all it sets up for another crazy week and I am not sure I won’t be cursing out a few more teams next week. I thought long and hard about this and it came down to two things: did I really think the Pointers would get through WIAC play unscathed and did I really think they could go into Whitewater and not lose. First item: no. I was actually pretty surprised that UWSP had gotten this far into the season without losing a game in conference. They have been playing better and better and had been taking care of business like it was their jobs. That gets me to the second item: no. I knew UWW would be ready for UWSP and considering the game was in Whitewater I knew weeks ago there was a very real chance the Pointers would lose. The game goes to overtime and the spread is five points. 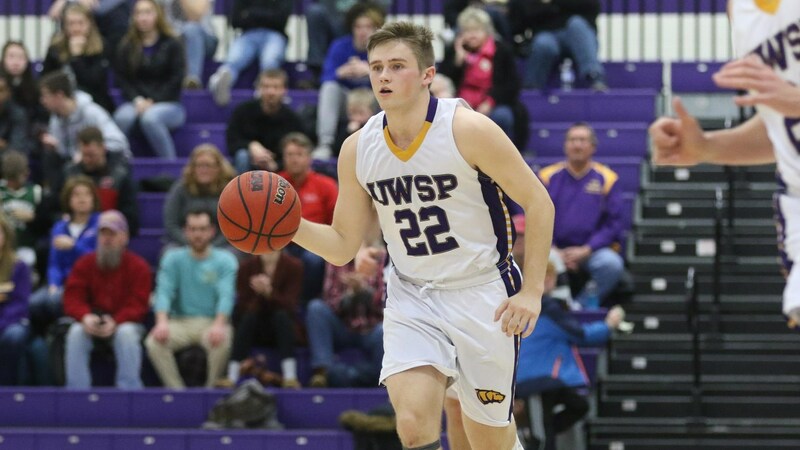 UWSP ends up being the second-t0-last undefeated team in Division III (see below) and they lost a game I pretty much expected they may lose, so I couldn’t really drop them from the top spot. This is one of those teams I am not very comfortable with this high, but not sure I could default by moving other teams ahead of them – though I nearly did with UW-Whitewater. I was reluctant with the Bears earlier this season and kept them low and I may have ignored that feeling and went with the data a bit too much… we shall see. After beating UW-Stevens Point, I nearly jumped the Warhawks up to fifth or fourth and even considered a move to third. However, the fact they had to have overtime to beat the Pointers at home gave me pause. That fact isn’t a bad thing, but it wasn’t the defining argument I needed to make such a bold move. Had the game been at Stevens Point, I would have felt differently. Maybe the Warhawks should be higher, but I had my reasons for them being behind IWU, Wash U., and Wooster before the week began and the win over UW-Stevens Point didn’t change that opinion for me. Here is another team I am not comfortable with in the Top 10. You know I think the Green Knights are a sleeper (despite their ranking) and depending on how the NCAA tournament gets bracketed could have a break-through post-season, but that doesn’t mean I think they are the eighth best team in the country. However, I need to put some team in this slot and I didn’t have an argument for anyone behind them to jump them. St. Norbert is steamrolling their way through the conference and right now that is the biggest determining factor for me. That have sometimes struggled in their conference, but they are taking care of business this year and doing so impressively. One person pointed out their loss to UW-Whitewater probably makes them at best the third-best team in the WIAC. I agree… and thus they are third on the list compared to those teams. I won’t repeat my tongue-and-cheek comment above, but wow did the Wolverines play completely uninspired basketball against now four-win York (Pa.) on Thursday night. I realize the game was delayed, but 48 points on 1-15 shooting late in the game is bad… just bad. I watched most of the last half and it just was bad. Wesley probably would have moved further down my ballot except for two major factors: they recovered to beat Christopher Newport on Saturday and the number of losses and adjustments below this point in the poll caused a bit of a pillow to break their fall. That being said, Wesley has got to learn to play better on the road because their NCAA tournament hopes will ride on it: they aren’t getting a home game at any point in the tournament. Emerson has now proven they can beat Top 5 teams. First it was then-number one Amherst and now then-number three WPI. But that should have been the wake-up call. Instead, the Engineers then lost to Babson two days later. Yes, Babson is a very good team this year and it was on the road, but the home loss to Emerson should have at least had WPI ready for Babson, instead they take their second loss in a row. As with Wesley, WPI would have fallen even further down my ballot except they also benefited from the pillow-effect. 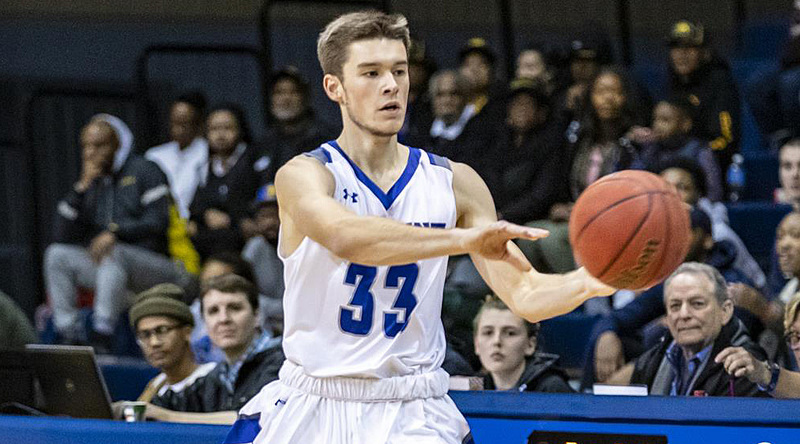 The Eagles almost put St. Mary’s on life-support with their win earlier in the week, but followed it up with a loss to Salisbury at home by ten. Talk about another team apparently not ready for their opponent. Mary Washington has one of, if not the best team in program history, but the target on their back is very large. Salisbury is a good team despite their record, so I wasn’t shocked by the loss. However, the Eagles have to realize at this point in the season every game matters. Here is the first of several teams I have been holding out of my Top 25 and make an appearance this week. The Panthers continue to play well and beat anyone in front of them. In fact, they only have one loss at it was on the road against Albertus Magnus. Their perceived SOS numbers are not that bad and they will probably be ranked number-one in the first regional rankings. I like what Coach Charney has put together at Purchase and there is no reason, anymore, they shouldn’t be in my Top 25. Since going undefeated into mid-January, the Falcons have stumbled in places they shouldn’t be stumbling and struggling on the road. 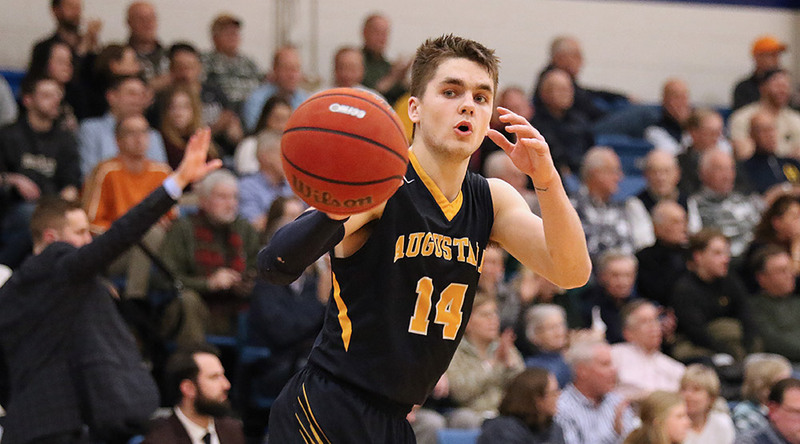 Messiah is a dangerous team, but the loss to Lycoming is inexcusable – not because Lyco isn’t a challenging team, but because if you are as good as I know Messiah to be… that is a game you put away. Big rematch with a struggling Stevenson squad looking to jump-start their season looms on Wednesday… that is going to be a major factor for my ballot next week. Here is the second team I have been holding out on. I will be blunt: the loss to St. Joseph’s (Maine) is a nasty blemish on their record, but a lot of teams in my Top 25 have some questionable blemishes as well. 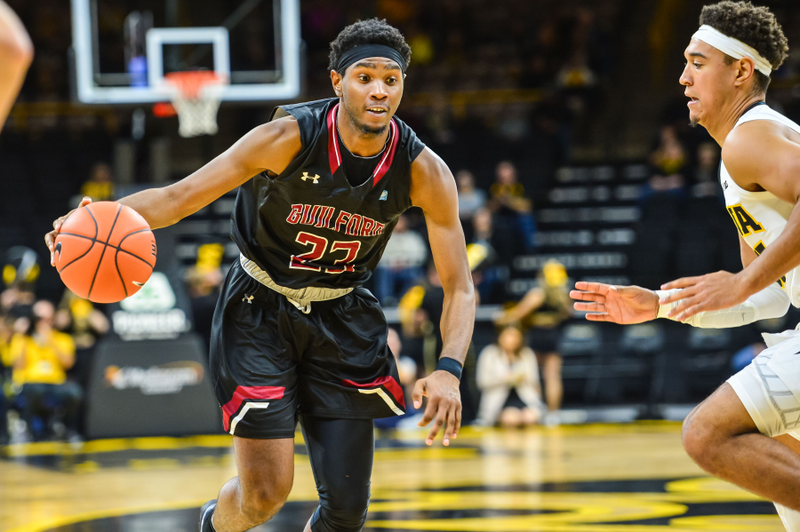 The Falcons are once again heading down the road of maybe hosting the first weekend of the NCAA tournament and they have to take advantage of that opportunity. I think they have the capabilities to make the second weekend, but results like those against St. Joe’s and close games like that against Anna Maria this week make me nervous this team is just smoke and mirrors – thus why it has taken me this long to put them on my ballot. Probably a bit of a harsh demotion for the Polar Bears for their loss to Middlebury, but I had trouble slotting them in any higher. I am certainly not faulting the team for how they lost to Middlebury, but I am faulting them for not beating the Panthers. 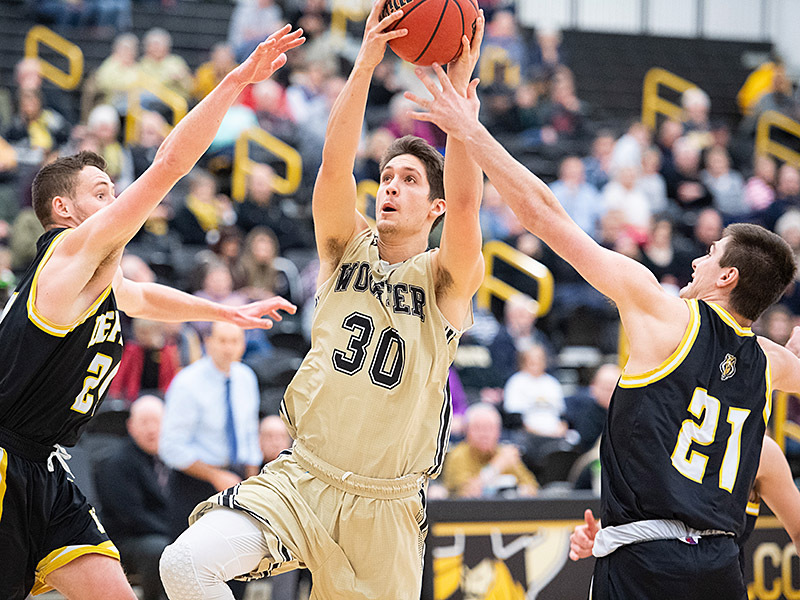 Middlebury is not the fearsome team of the last few years and if Bowdoin is really that good a squad, that game should not have come down to a last-second three-pointer to tie it and then an unfortunate timeout call. For the second time this year, I am putting the Spartans into my Top 25 ballot. The simple fact is, no matter who they have played or the strength (or lack of) of their conference, Dubuque is 20-1. You have to be doing something right to get to this point in the season and only have one loss. Here is the final team I have been holding out on. Just like Purchase State and Albertus Magnus, I am not sure just how good Staten Island is. They are playing well with their last loss coming in the third game of the season – that’s 19 straight wins. The Dolphins could be a sleeper and will probably get a chance to host games in the NCAA tournament, but they may have to be ready to play on the road to prove anything. The yo-yo the Marlins had been doing for a few weeks finally broke. The loss at home against Eastern Mennonite was finally the last straw for me. I kept buying in to a team that in year’s past I was reluctant about. Now they are a few games out of first place in their conference and I can’t keep a five-loss team in the Top 25 when I don’t even have teams ahead of them in the conference on my ballot (except for Randolph-Macon). The Marlins could still be a dangerous squad come March, but they have to start putting some things together and get used to playing on the road. I may have bought into the Warriors a bit too much. Their loss early in the week against Wesleyan disappointed me. If they were as good as I thought the information and what I saw indicated, that isn’t even a game. As you know, I don’t treat a ranked team who losses to team ranked above them too harshly. However, the Stormy Petrels just didn’t have a lot of room to play with sitting 24th when they lost to Centre (season sweep). They got knocked a few spots like others would have, it just so happened that meant coming off my ballot. As I have said, the Vikings probably shouldn’t have been in my Top 25 last week especially when I didn’t expect them to get through this past week unscathed. The loss to Illinois Wesleyan was an excuse I didn’t need to have, but to lose in such a non-competitive manner didn’t help the cause even if they did beat Carthage the next game.